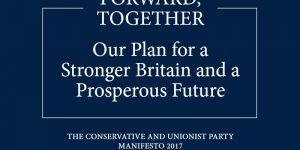 Comment on Liberal Democrats Manifesto 2017 – Defend Rights, Promote Justice and Equalities by Terry. Expand the Syrian Vulnerable Persons Resettlement Scheme to offer sanctuary to 50,000 people over the lifetime of the next parliament. Re-open the Dubs unaccompanied child refugee scheme, ensuring Britain meets its responsibilities by taking in 3,000 unaccompanied refugee children. Liberal Democrats would offer these children indefinite leave to remain, meaning they will not be deported once they turn 18. The Conservative Government’s policy of working for peace in the Middle East, confronting dictators and terrorists and generously supporting the millions of refugees and displaced persons in the region so they can stay in the region they consider home is far more sensible. The UK is the second largest donor of aid to Syrian refugees, surpassed only by the USA. We should be proud of our charitable nature. We don’t solve the problems being experienced by millions by allowing 50,000 or more of them to settle here, the money would be better spent helping hundreds of thousands of people to eventually return to their homes.